In this modern world, people have become more friendly with smartphones than with people. Some people live with smartphones. Smartphones have taken the place of friends. And sometimes we do feel that smartphones are better friends than friends. 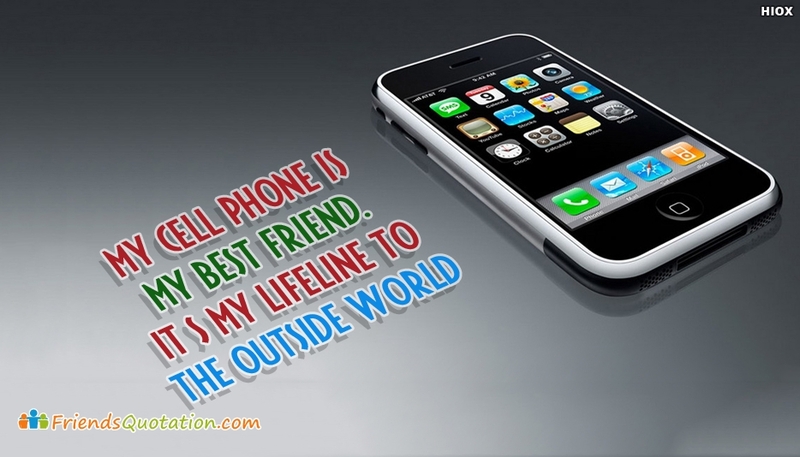 Share this "My Cell Phone is My Best Friend. It's My Lifeline To The Outside World" picture with your dear friends and express your thoughts.